Demat Account is short for Dematerialized Account. It acts as a bank where all your shares and securities are kept in a digital format. As per the guidelines of the Securities and Exchange Bureau of India (SEBI), anyone wishing to trade in stocks in India should have one. In this article, we have listed down points about opening a Demat account which every investor should know. This question is the first one to occur in many a mind. It’s quite simple actually. You can open one with any broker, firm, NBFC or corporate registered with either the NSDL or CSDL as a registered Depository Participant (DPs). A list of registered DPs is available at the websites of NSDL or CSDL. You will need to link your Demat Account to your bank account to make it operational; your bank account will supply money for buying shares and receiving money post sale of shares. Proof of Residence: Ration card, passport, Aadhar Card, Bank Account Statement, utility bills (telephone, electricity). DPs levy some form of charge for you operating the Demat Account. You have account opening charges which depending upon the DP are sometimes levied and sometimes not. There are broking charges applied each time you buy or sell a stock. Another cost you should note is the Annual Maintenance Fee. There are other charges too such as a fee for dematerializing your physical copies of shares and other financial instruments, charges for account statements, fees for advisory services, and more. 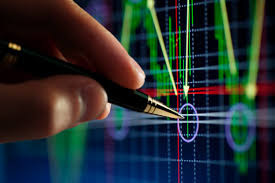 You also need to make note of the trading platform and the technology used in it. A good trading platform is one which shouldn’t be down during trading hours, the user interface should be easy to understand, and loading time should be as minimal as possible. Most investors just look at the cost of opening and maintaining a Demat Account; a serious investor, on the other hand, keeps an eye on technology too. Make sure your DP offers this facility. All Demat transactions require the use of Delivery Instruction Slip (DIS). When you submit a DIS, your DP will verify it and then debit or credit the number of shares as per the details on the DIS. This is often cumbersome as you have to fill in the DIS and then submit in physically, a better and easier way is via online Demat facility where you can complete all transactions online saving precious time. A good DP will ensure you have a great experience with them as you open and then transact with your Demat Account. Sharekhan is a good choice to go with. They are one of India’s top online brokers offer great services at minimal rates. Over the years, online commodity market trading has become significantly popular. Commodity markets offer better risk-adjusted ROIs even when the stock markets and bond markets are at their most volatile levels. In addition, commodities markets are attractive because they give good prospects to those who are able to wait out market instability in order to reap the rewards. Since traders buy & sell a majority of the commodities by way of futures, they aren’t buying & selling the commodity itself, but merely the contract to buy or sell it by a stipulated date in the future at an already agreed upon price. Commodities are actual assets that serve fundamental purposes for commercial and/or industrial use, making them very different from Bonds or Equities. Furthermore, commodity market live rates have no direct dependence on the volatile & dogmatic fluctuations of the stock market, making them a relatively safer investment option. Another positive attribute is that the commodity market rates display a heavy correlation to inflation, since the commodity market rates are governed by actual commodities like oil, rice, wheat, etc. Therefore, investing in the commodity markets is a safe bet for those who want to keep up with inflation. However, its dependence on actual commodity prices is a major drawback & risk factor for online commodity market trading as well. Factors such as Natural calamities (Draughts, floods, earthquakes, etc. ), supply chain disruptions, and geopolitical factors like war and state policies majorly influence Commodity market rates, without much warning. Because of the nature, of its constantly changing market rates, it is important for potential commodity traders out there to have access to good online commodity market live rates. 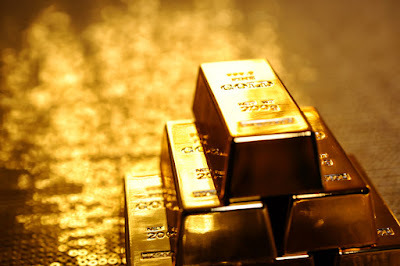 For those looking for online commodity markets live rates, should not worry, as there are a lot of websites out there that have the latest and most updated rates. These days, it is possible to get the most recent Online commodity markets live rates from commodity Markets around the world, within a matter of merely a few minutes. In addition, to make things even better than they already are, you are provided with a safe and conducive environment by websites that give you online commodity markets live rates in addition to commodity market brokerage services. Hence, having the confidence to safely trade commodities online, with live market rates, allows you to make better, quicker and stress free decisions.